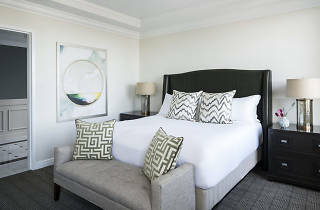 Nothing says luxury like a stay at the Ritz-Carlton Philadelphia. Originally built in 1904 as The Girard Trust Company, the building transitioned from a bank to a hotel at the turn of the century and opened as the Ritz-Carlton in 2000. 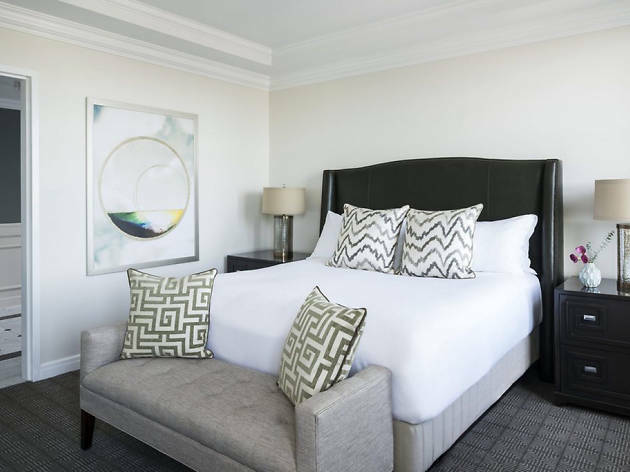 The 299 guest rooms and suites all boast views of either the city or historic City Hall and were all meticulously redesigned and renovated using a color and textile palette inspired by modern currency as a nod to the building’s banking history. Located on the Avenue of the Arts, the hotel also features an impressive collection of art, which is displayed throughout the premise.